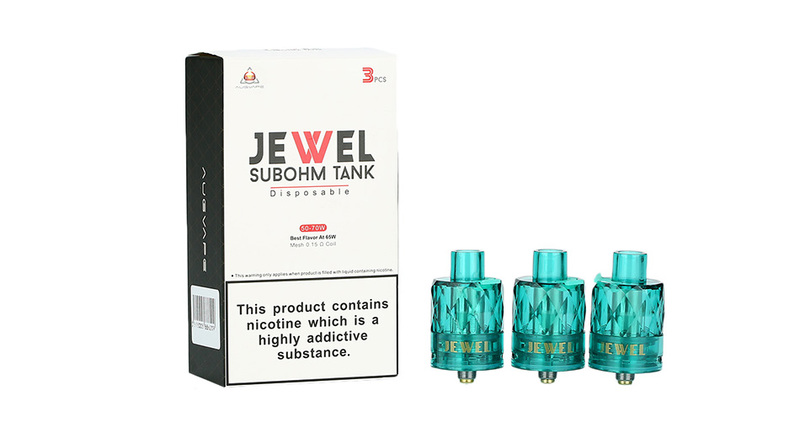 The AUGVAPE Jewel is a disposable tank with 3ml e-juice capacity and pre-inbuilt mesh coil. 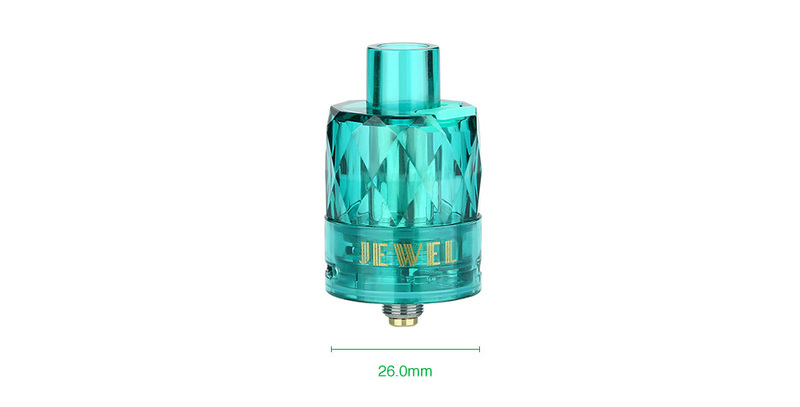 The non-replaceable 0.15ohm mesh coil provides best flavor at wattage of 50-70W. 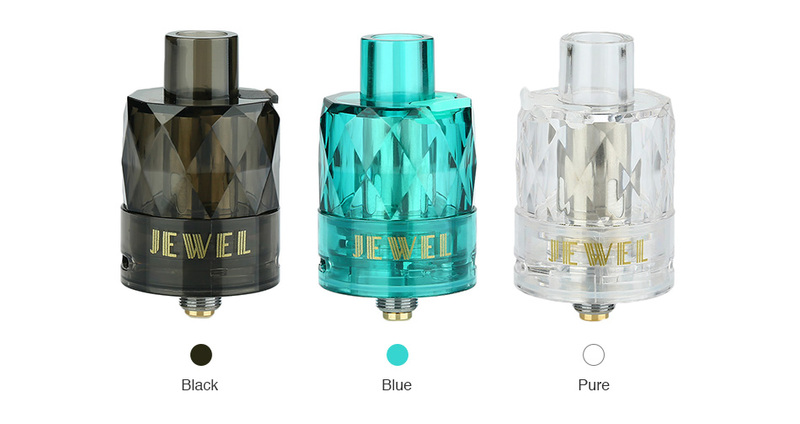 Constructed by food-grade Polycarbonate material, the Jewel tank brings a safe vaping experience to vapers. 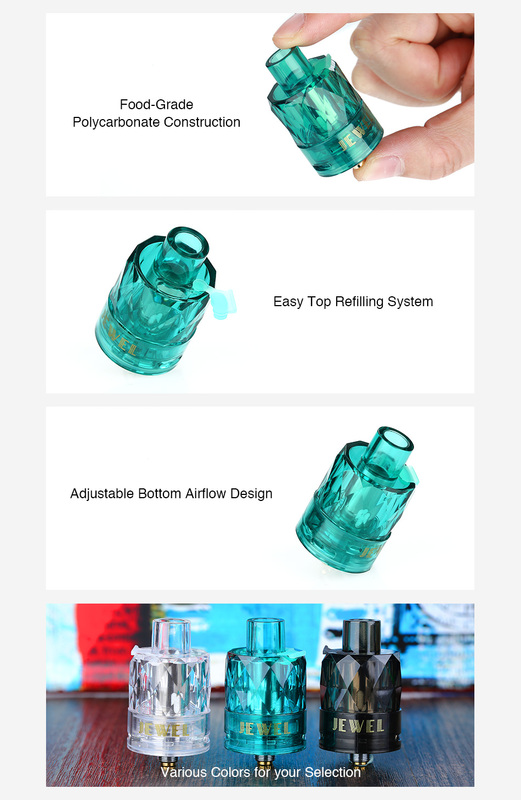 With the easy top filling system and adjustable bottom airflow design, the AUGVAPE Jewel can fully satisfy your daily vaping needs. Perfectly compatible with AUGVAPE VX200 box MOD.